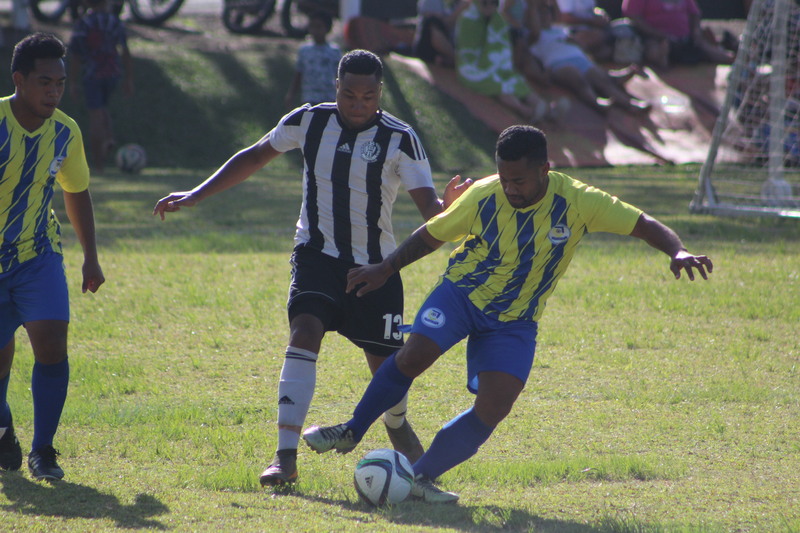 The top-seeded Tupapa Maraerenga premier men’s team captured a key 3-1 win over Avatiu at Victoria Park in Tupapa on Saturday. Despite a deadlocked 1-all score at intermission, Tupapa Maraerenga scored two goals in the second half to stake itself to what ended up being an insurmountable lead. Grover Harmon started off the scoring for Tupapa Maraerenga during the eleventh minute with an assist from Anthony Samuela. Avatiu tallied the equalizer when Ben Murare’s shot found the back of the net off an assist from Atu Putere in the 26th minute. Late in the first half, Avatiu weathered a storm of offensive opportunities in its defensive third, and the two teams remained knotted at 1-all at the half. Geoffery Strickland broke the 1-1 tie in the 47th minute. Avatiu were called for a foul inside the box and Strickland converted the penalty kick to regain the lead for Tupapa Maraerenga. Tupapa Maraerenga’s Lee Harmon capped the scoring in the 87th minute when a failed clearance found his foot just outside the box. The one- touch blast provided all the insurance the home team would need. The win puts Tupapa Maraerenga one step closer to securing another Round Cup Competition title. In the other Van’s Premier Men’s Matches Nikao Sokattak defeated Matavera 6-0 and Puaikura earned a 5-1 win over Titikaveka in their midweek clash. In the Islander Senior Women’s Division. The top of the table match between Tupapa Maraerenga and Avatiu ended in a 0-0 draw whilst Titikaveka and Nikao Sokattak picked up wins against their opponents in Round 8 of the Rarotonga Football Competition.